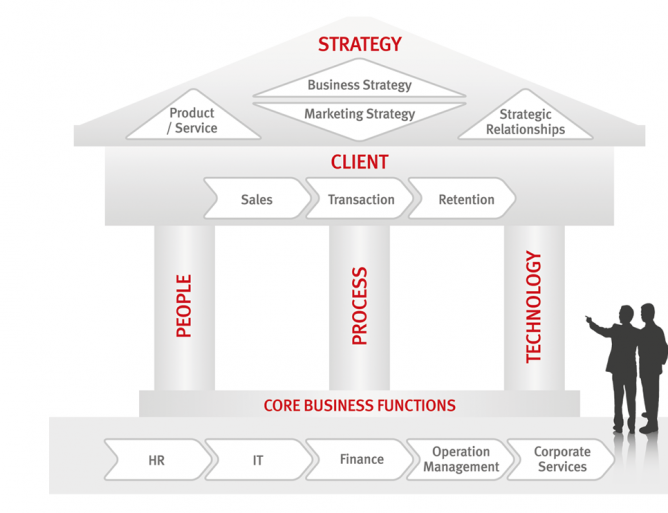 We ensure that we align these three pillars to the strategic, client and business core processes. We understand that an enterprise is a living organisation. It changes continuously. To support the continuous change, we ensure enterprises must establish the agility to manage change in time of need. We ensure that the business process architecture remains agile, process centric and customer focused.